While Tequan Richmond’s absence is being felt by ‘General Hospital’ viewers, SOS was privileged to catch up with the young actor. Richmond shared with us details on his new projects, his absence from GH, being a producer for the first time and his Daytime Emmy nomination. Please see below for the full interview. SOS: Good day Tequan, how are you today? Tequan: Good just got home to LA from Michigan where I’ve been over a month now shooting a feature. SOS: Wow, sounds really good. Could you tell us more about this feature? Tequan: It’s called Nowhere, Michigan and I play a character named David who finds himself on the run from downstate to upstate Michigan from meth dealers and when he gets to unfamiliar territory he then ensues in a crazy love triangle with two girls …very interesting for me. SOS: Seems rather interesting quite different from the role of TJ on GH? Tequan: Very different but that’s what I like about acting. SOS: Indeed! We see you have been tweeting about 3 projects, can you divulge anymore information on those? And even the producing gig you booked? Tequan: I’m a producer on Nowhere, Michigan ..There is also a TV Movie about boxing called “Ringside” I’m in with Tyler Lepley along with the Showtime Pilot I filmed still in development called “The Chi” with rapper/actor Common producing. Also was looking to stretch my arms to directing a couple shorts soon after attending the Sundance Directors Labs for a couple weeks and with nabbing my first producer credit. SOS: This is awesome, you are a talented actor, we do miss seeing on GH, are you at liberty to share your status with the show? Tequan: Thank you , right now a lot of things were probably not filmed with me because of my unavailability due to filming other projects after I was no longer a contract player. SOS: Ok, but are there any scenes coming up soon for TJ? Tequan: I’m always open to spot dates for GH now that I’m home so I’m sure if they need me they’ll call. SOS: Ok, can you share what was it like playing the character of TJ Ashford? Tequan: It was fun , I have good relationships with all the cast and it’s like family after spending 3-4 years together so it was nice. Loved the interaction I was able to have with Sonny on the show and loved my connection to the Shawn character …which the story was synonymous to my actual life. SOS: Wow, by the way, congrats on your Emmy Nomination. How did you find out you were nominated and what was your reaction? Tequan: It was a surprise being that I wasn’t used much this year. Just showed how strong the performances were. SOS: Good luck with your future endeavors and thanks for stopping by to have this little chat. So GH fans, what are your thoughts on this? Are you excited about his Emmy Nomination? Do you want to see more of TJ on GH? 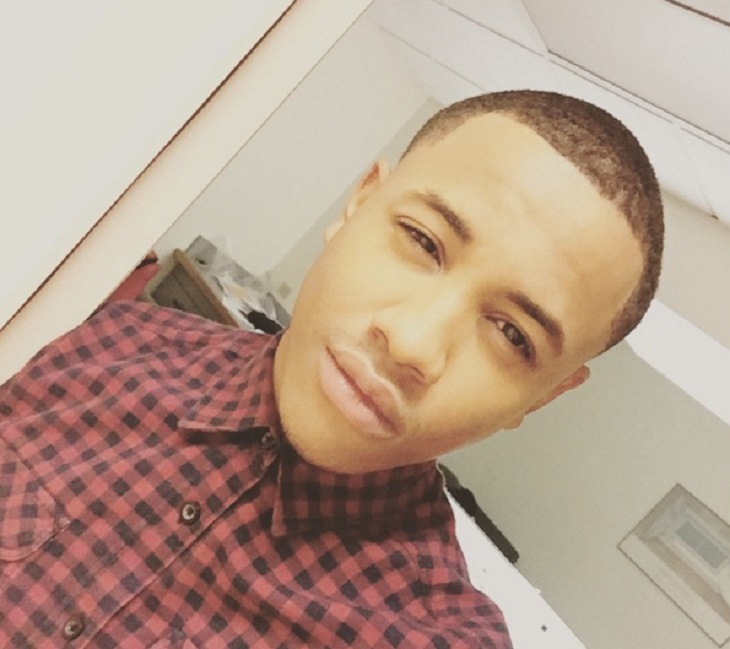 Get Exclusive Tequan Richmond News & Updates!